This NBA lockout piece is all you need to know, even if Bill Simmons is lame therein. My own interpretation of the NBA lockout remains unchanged from the beginning: the owners are asking the players to structurally save themselves from themselves. They just can’t get stop overpaying guys…giving solid contributors max deals, totally interchangeable role players multi-year, big money contracts and, most remarkably, perenially underachieving stiffs the same kind of love. I’m talking guys who should be getting one-year deal and having to prove themselves every years being lavished with long-term deals that make no sense to anybody. This Grantland story may be all you need to know, since it includes facts like Al Harrington is owed almost $27 million, Darko Milicic – who has done nothing ever, is owed almost $16 million, Josh Childress is owed $27 million, and David Lee – who has been good, but… – is owed almost $70 million. The sports Guy Bill Simmons adds almost nothing beyond juvenile, lame jokes, but Jonathan Abrams is spot on. Actually, this segment from Abrams may be all you need to know about the state of the NBA lockout and contracts in general. 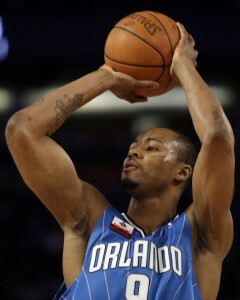 I never would have envisioned Rashard Lewis as the perfect guy to some things up, but it turns out to be so. Rashard Lewis is a gauge for how you view the lockout. Right or wrong, he is the poster player for the league’s doomed economic model — a decent and grossly overpaid player. “Talk to the owner. He gave me the deal,” Lewis recently told the Washington Post’s Michael Lee. “When it comes to contracts, the players aren’t sitting there negotiating that contract. I’m sitting at home and my agent calls me, saying, ‘I got a max on the table.’ I’m not going to sit there and say, ‘Naw, that’s too much. Go out there and negotiate $20 or $30 [million] less. '” This time, the Wizards have their fingers crossed they will have the opportunity to make the correct call and shed themselves of the $43.8 million owed to Lewis over these next two seasons. http://alanpaul.net/wp-content/uploads/2014/03/alan-imus-300x158.jpg 0 0 AlanPaul http://alanpaul.net/wp-content/uploads/2014/03/alan-imus-300x158.jpg AlanPaul2011-09-30 14:26:572011-09-30 14:26:57This NBA lockout piece is all you need to know, even if Bill Simmons is lame therein.